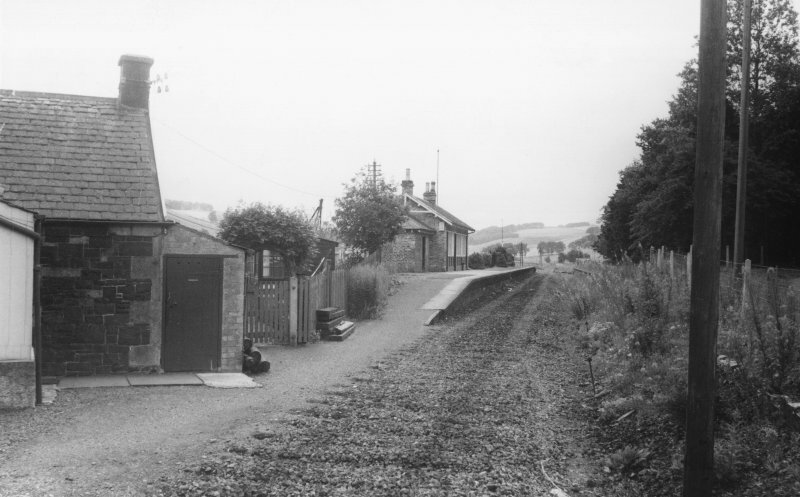 This intermediate station on the Edinburgh - Leadburn - Peebles - Galashiels branch of the former North British Rly was opened (by the Peebles Rly) on 4 July 1855. 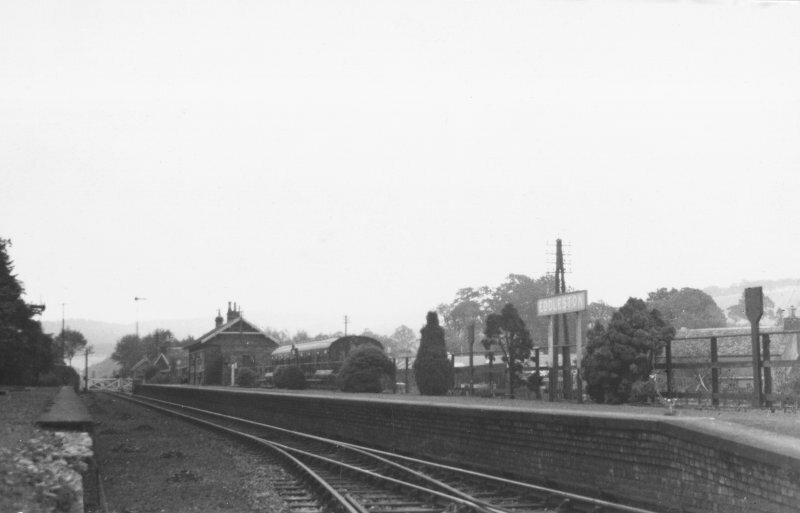 It closed to regular passenger traffic on 5 February 1962. (Location cited as NT 241 471). Eddleston Station, opened 1855 by the Peebles Railway. 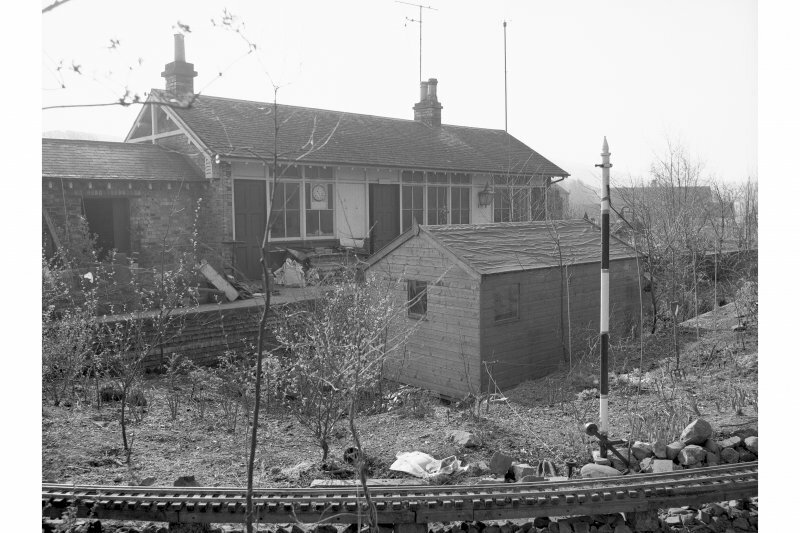 2-platform through station where a wooden single-storey structure on the down platform and 1-storey station house survives. Station opened 04/07/1855; closed 05/02/1962.